Carolyn Eilola is an analytical consultant for Exponential Talent. Her contributions to Exponential Talent projects focus on analytics, data modeling, presentation creation, research, and project management support. Carolyn’s expertise focuses on data analysis, graphic design, and leveraging modern technology and innovative techniques to produce creative ways of presenting (or collecting) data and information from groups with various levels of technical and educational experience. Previously, Carolyn performed freelance consulting in a number of areas. She has provided project management for a variety of types of small businesses and has worked in all aspects of data work (from data entry to post-processing and coding to the creation of qualitative/quantitative analytics reports). She produced, managed, and wrote articles for a newsletter for minority youth (and interested parties: parents, teachers, community members) on scholarship and other academic opportunities in higher education – and managed the corresponding article posting and management on the program’s website through a custom CMS. Carolyn has also provided creative direction and modification instructions for technical projects (including liaising between clients and developers), created and audited custom (low-tech and high-tech) documentation systems, and provided business analysis and competitor research for marketing, technology, and service organizations. Prior to consulting, Carolyn interned as a social worker in the Saratoga Hospital short- and long-term physical rehabilitation and nursing facility. 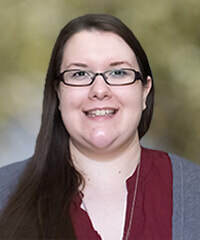 Her prior academic and professional research focused on topics such as: the metacognition and expression of self and personal values, the perceptions of disabilities by various populations in a single academic ecosystem, barriers to retention and academic achievement among students with disabilities in higher education, and creative solutions for open gaps in the app market. Carolyn received a Bachelor’s of Science and Arts in the fields of Social Work and Psychology from Skidmore College. She lives in the Adirondack Mountain State Park of northern New York.